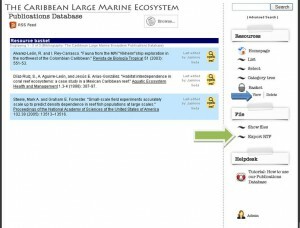 What information is provided in the Publication Database? 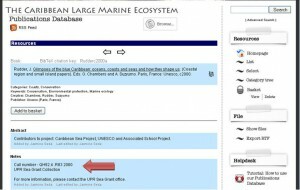 The database consists of reliable sources of information found in peer-reviewed scientific journals, books, websites, thesis/dissertations, government documentation, and newspaper articles associated with marine/coastal management and conservation in the Caribbean region from 1998 to the present. 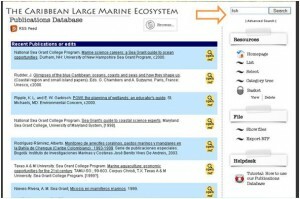 Over 50% of the resources found in the database are freely available online. 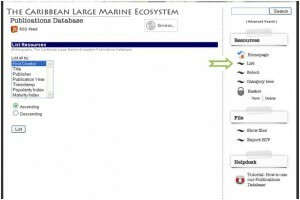 Other resources are available solely through the University of Puerto Rico-Mayagüez (UPRM) Library Electronic Database and can only be accessed by UPRM students, faculty, and staff. 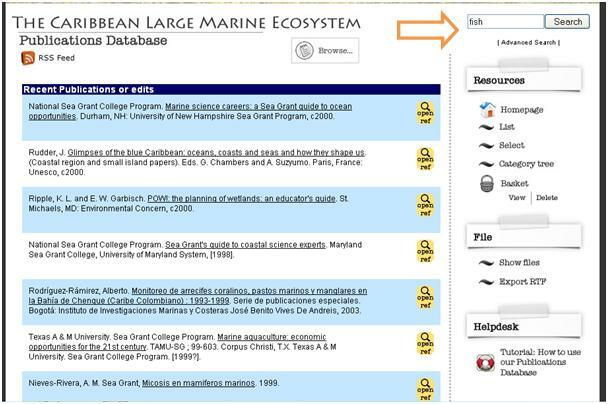 Selected resources from the UPR-Sea Grant library collection are also included and are available upon request. 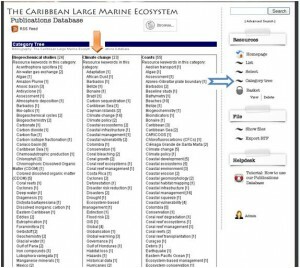 It is NOT a comprehensive database of all of the marine studies performed in the Caribbean. 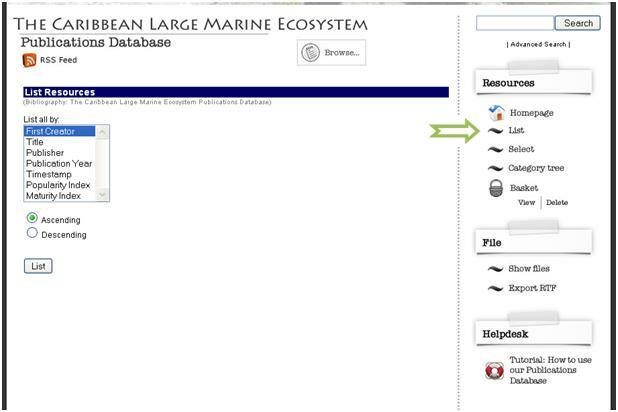 The purpose of this database is to serve as a reliable portal of information for studies that focus on managing and conserving our natural marine and coastal resources in the Caribbean, including international countries. If you don’t find a specific resource that you’re searching for, please don’t hesitate to contact us by e-mail or telephone and we’ll do our best to help you find the information you need. 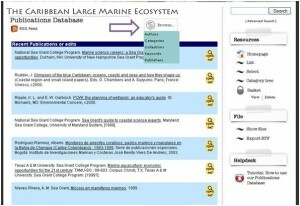 How do I use the Publication Database? 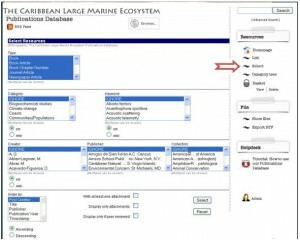 There are several ways that you can search the database. At the top right corner of the database, you can do a Quick Search by just typing in a keyword or phrase. 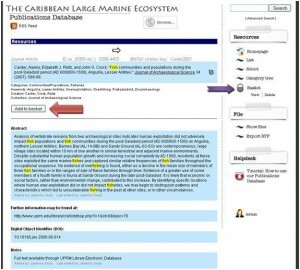 You can also choose to do an Advanced Search to specify your search by author, title, category (subject), keyword and type of resource (journal article, book, website, etc.). 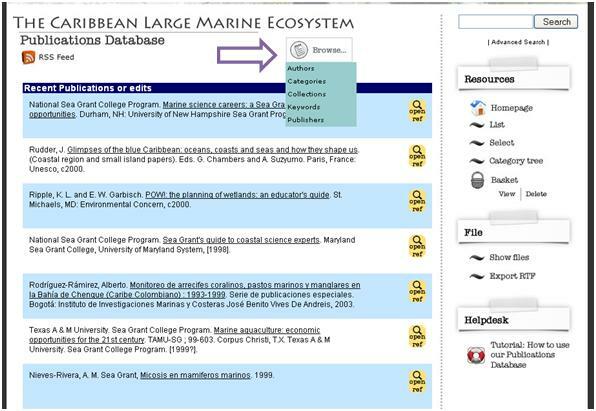 At the top center of the database, there is a Browse button that allows you to browse through the current resources in the database. 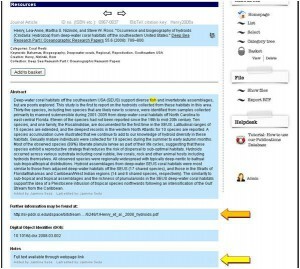 You will find a list of authors, categories (subjects), collections (book, journal, magazine, newspaper), keywords and publishers (books, thesis) that you can select for viewing. 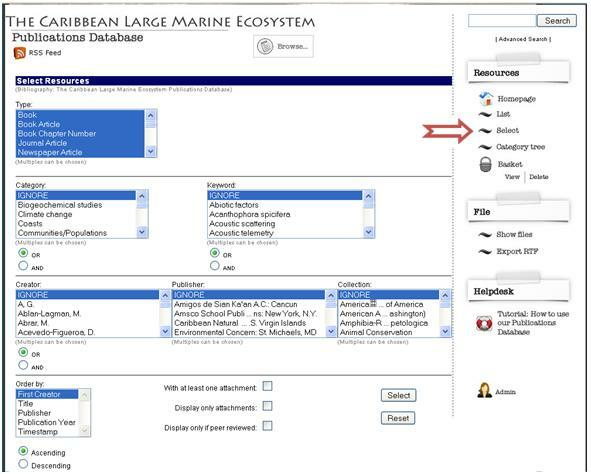 In the resource menu found on the right-hand side of the database, there are several options for searching. The List button lets you choose the order in which ALL of the resources in the database will be listed for viewing (e.g., by first creator/author, title, publisher, publication year, etc.). The Select button will give you a list of all the resources according to their field depending on your selection. This includes a list of all of the authors, categories (subjects), keywords, creator (author), publisher, collection, and in which order that you would like to see the results. This search option lets you select from the list found in the fields provided and no keyword or phrase is needed. 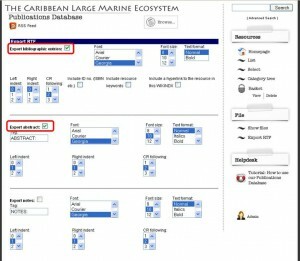 The Category Tree provides a comprehensive list of keywords associated with each category (subject). For example, there are about 20 keywords linked to the category (subject) Climate Change. You can click on any of the keywords that are found underneath the category listed. 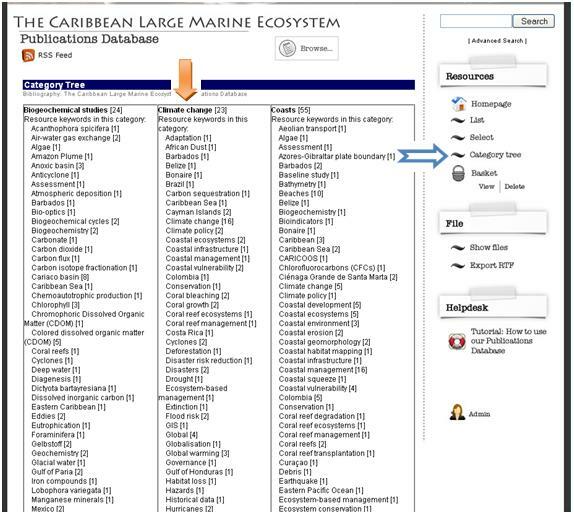 This search option is an excellent tool for quick browsing of the keywords (including countries) associated to the subjects already provided in the database. How can I save my search results? After selecting the resource you found in your search, just click on “Add to Basket”. After you’ve selected all of your resources, you can view them by clicking on “View” under the Basket in the right-hand menu. You can also delete any resource from your basket. 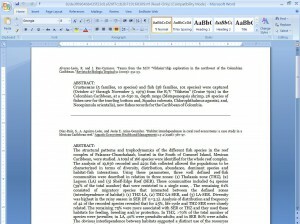 How can I access the full text of an article? 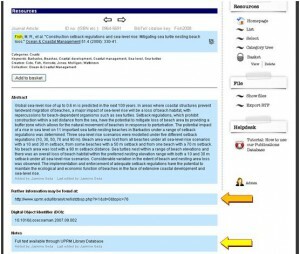 For each resource, there is a Notes Section that specifies whether the full text of the article/book/document is freely available online or is available through the UPRM Library electronic database. 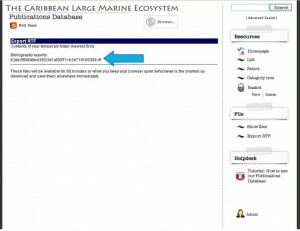 If the article is available through the UPRM Library Electronic Database and you have a username/password, just click on the link provided and it will take you to the Library’s Homepage to access their database. 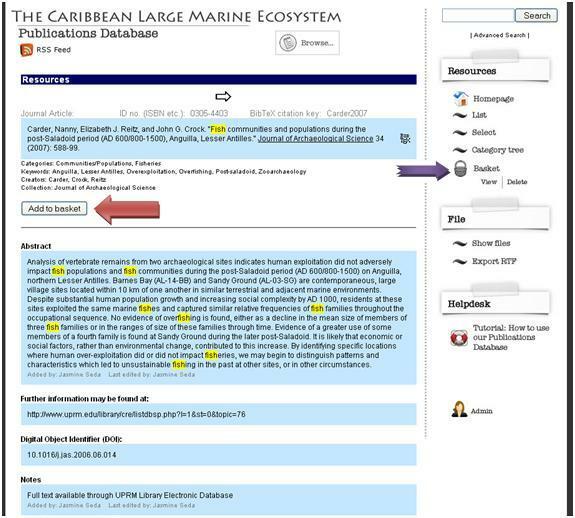 If you are presently connected to the UPRM network, just click on the Digital Object Identifier (DOI) link provided to obtain the full text of the article. If you don’t have access to the UPRM Library electronic database, please don’t hesitate to contact us and we’ll help you get the information you need. 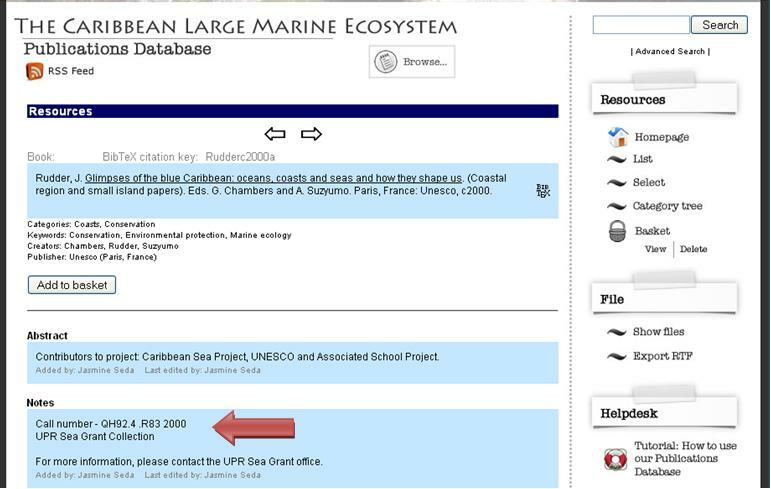 If the resource is a book, you will find the Call number and the location (UPRM Library or UPR Sea Grant Collection) of that particular item under the Notes Section. Please contact our office if you would like to obtain more information. However, there may be resources that do not provide a digital version of the document/article. For those cases, we highly suggest that you contact us for more information. How can I download or export my resources after I’ve filled my basket? 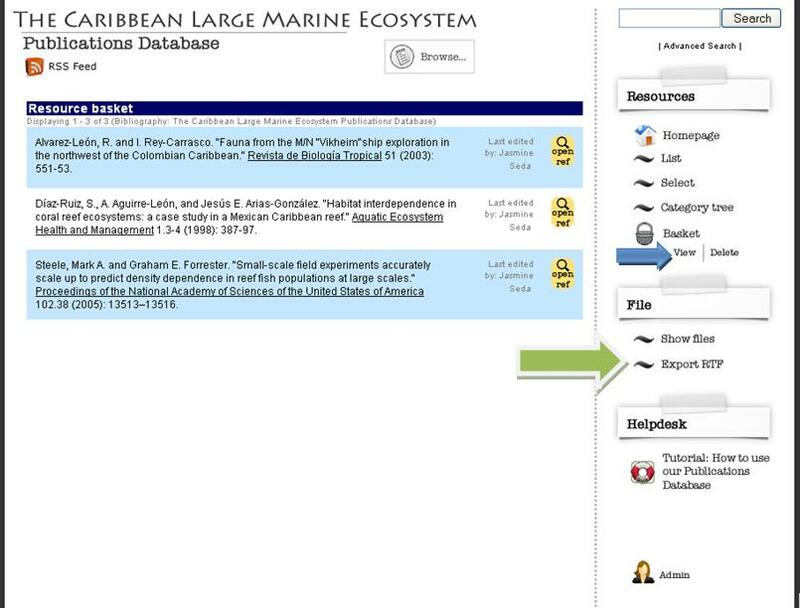 Your resources will be listed when you click on View under the Basket icon in the right-hand menu. 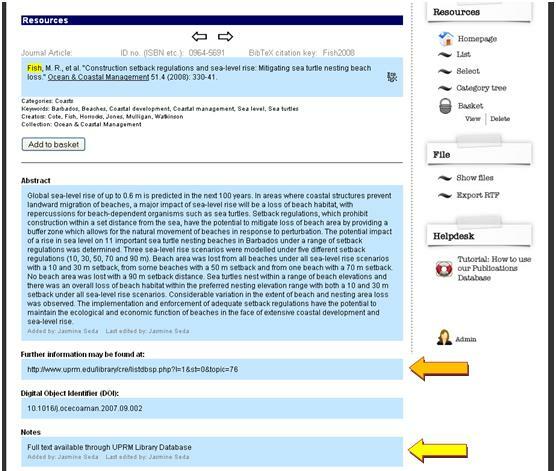 Click on Export RTF under the tab Files to export your resources in a Rich Text Format (.rft). This format is compatible with any program that can read text such as WordPad, Microsoft Word and Corel WordPerfect. 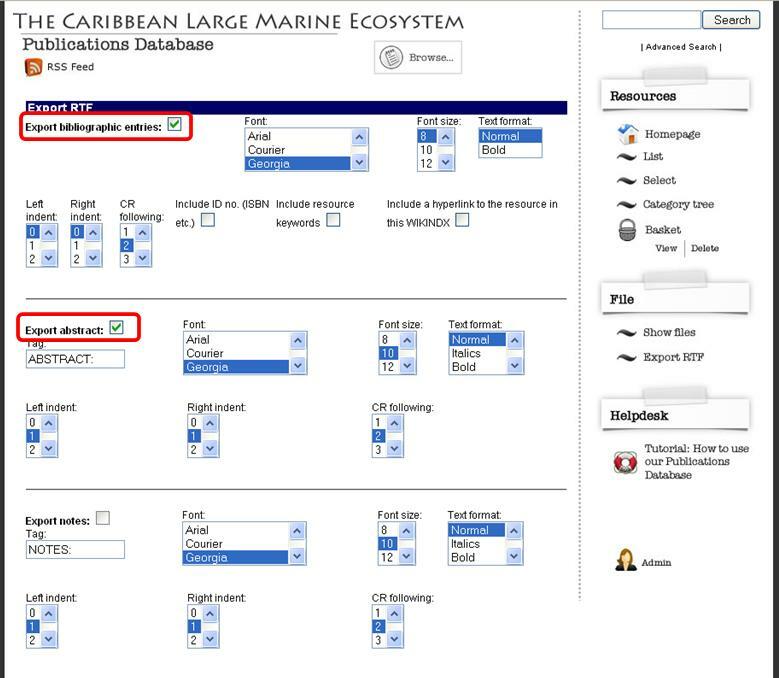 When exporting, you can choose the information you would like to have included in your resources. 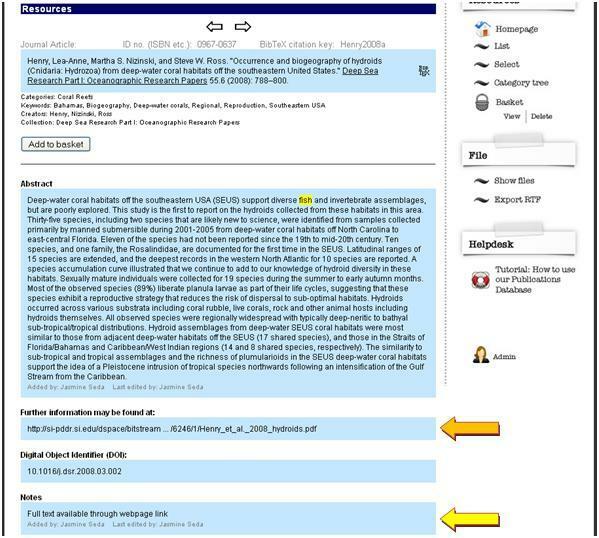 We suggest that you always include Export bibliographic entries and Export abstract (which is optional, if you only want a list of the bibliographic citations). You can choose any Font, Font size or Text format for your export file. 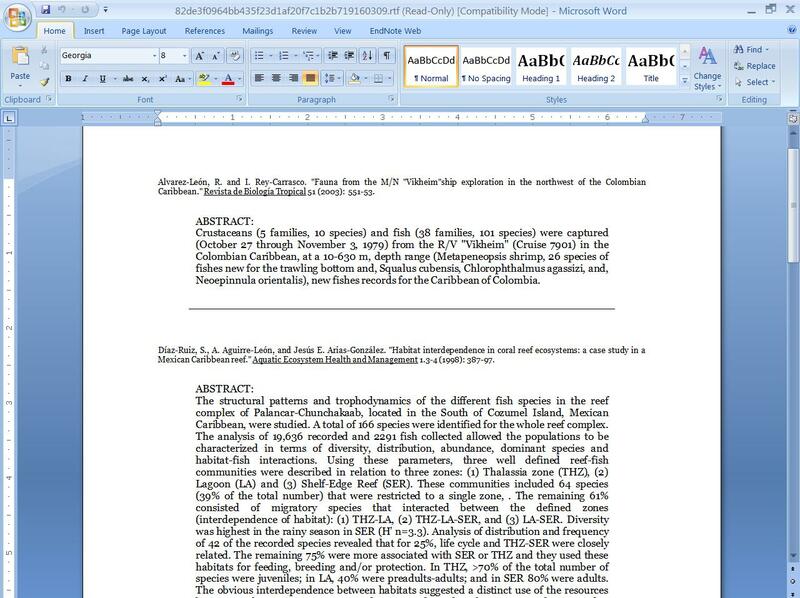 The Bibliographic style can also be specified and is given as the Modern Language Association (MLA) style by default. When you’ve finished selecting the format of your export, click on Proceed. 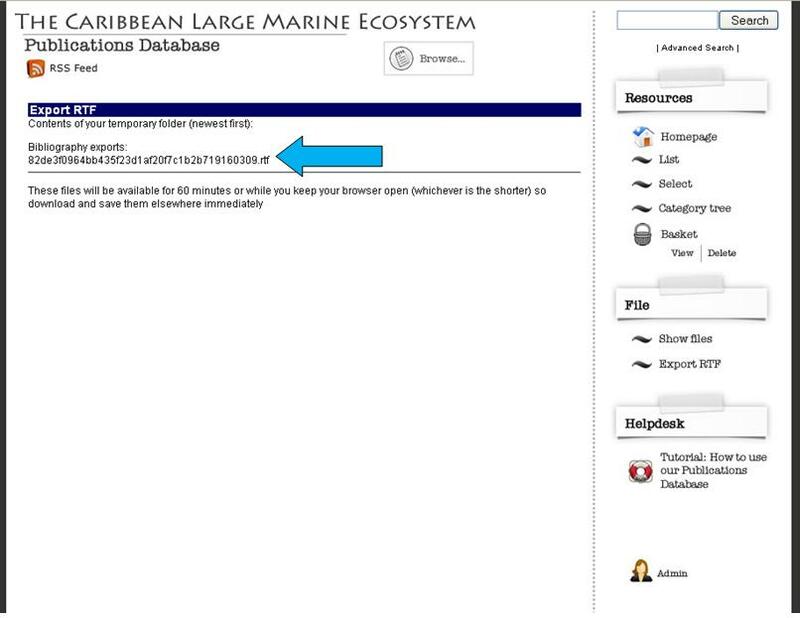 Your exported resources will appear as a link in the format .rtf, which must be saved to your computer within the next 60 minutes (1 hour). When clicking on this link, you will be asked where to save or open this file. You can open this file using any software program that reads rich text format (.rft). When opening the exported file, you will find your list of resources in alphabetical order and you can organize or modify them according to your needs.